Myself and my older sister Wendy - ready for school! The main entrance to St. Paul’s primary school was located in Little Russell Street. As a pupil in the mid-1950s I remember it vividly. It was a very old building with a nursery on the ground floor under the watchful eye of Miss Stripp. I remeber there were a couple of cots in it too. Off this was the kindergarten, Class 4, looked after by Miss Jones. Class 3’s teacher was Mrs Shrough. Up the stairs saw a sort of kitchen and wash basin area where I remember learning how to make pancakes on Shrove Tuesday. Up again was the Headmistress’ office, Miss Mary Watts, now an active octogenarian despite severe arthritis and extremely poor vision, with whom I am still in contact. Up again saw one huge room. One end contained the desks and chairs of Class 2, the other half was used as the assembly hall. At the rear of the room was a door and a winding stone staircase that descended to a back lane leading into the church where we had to attend a service every Wednesday morning run by Fathers Chown and Favell. Off the side of the assembly hall was the glass door into Class 1. Miss Watts taught that one herself as it was the one in which we took our 11plus exam to determine whether we went on to grammar or secondary school. The building was condemned and demolished in the mid-1960s and a new school built further up the town. Does anyone know why the original site was not used? I have been in Australia since 1973 and, although I have returned a couple of times for holidays, I cannot remember what is there now. I remember Patsy Neale well from her photograph. I was the little boy with the eye patch in the Class 3 photograph. Somewhere I suspect I have the same photograph from that time. By the way, my name was Edward Castle then. Hi, I am now in St.Pauls for 6 years and it’s really surprising to see the old pictures of St.Pauls when students were in year 3 and now in year 6 and I have been in that school for 6 years. Patsy, I have tried several times to e-mail you but each time my mail has been returned. I don’t want to put my e-mail up in a public space. Editor’s note: Edward try this version of Patsy’s email address, psilsby@optusnet.com.au the entry in the article above had some unnecessary information inadvertently attached to it which made it fail. It has been corrected and should now work fine. Have just re-visited this site and seen your comments, Edward. Sorry to have missed your emails. It should be ok now, so here’s the address again. asilsby@optusnet.com.au If you put attn Patricia in the subject, my hubby won’t delete it as spam! If still no good write to me. PO BOX 1029, Penrith, NSW 2751, Australia. I would love to hear from you and anyone else who remembers us! 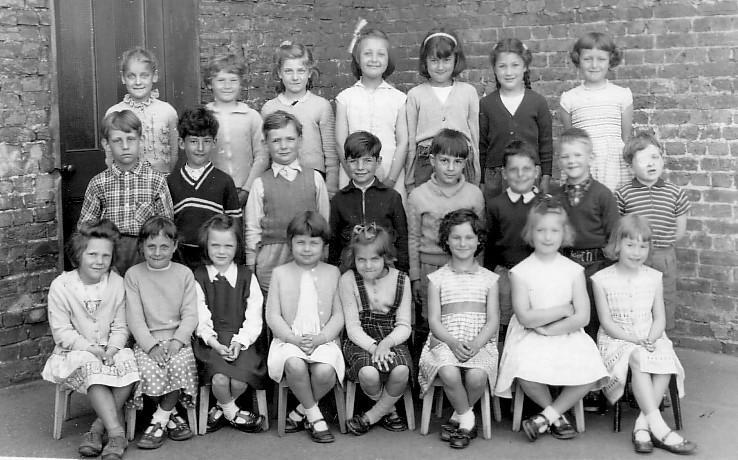 I attended St Paul’s nursery, probably in 1959/60. I remember Miss Stripp and the cots for our naps, my Mother helped out too. My name then was Patricia Horrobin, and Zena Matyszak was also in my class. We kept in touch over the years, and were together at Queen’s Park Secondary for a few years. 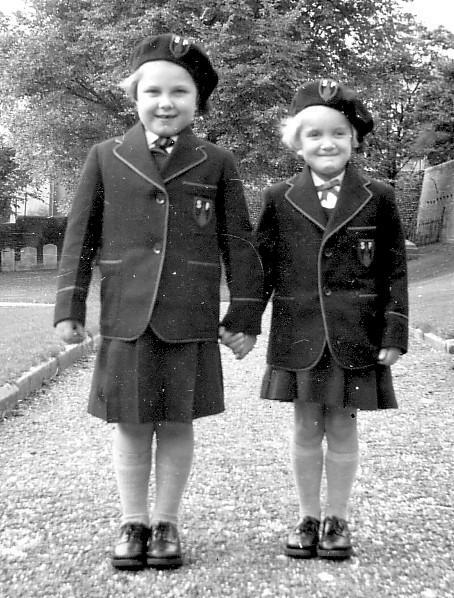 My twin sister and I went to St Paul’s school from 1958 when we were in Miss Strip’s nursery class. Mrs Fletcher taught us in the next year and Mrs Shough the year after. Our favourite teacher was Mr Donaldson in year? He was a great story teller with a fantastic deep voice. He scared us all with shaggy dog stories. I have great fondess for Miss Watts – she asked my sister and I to write thank you letters as we had good handwrting – is she still alive as I would love to see her? Andrew Matyszak was in our year but I remember Zena and her sister Sue very well. If anyone has photos of around that time, I would love to see them. It’s been a while since I checked out this site. I am going to the UK for a flying visit in a few weeks. I am hoping to visit Miss Watts while I am in the area at Wendy’s, so will post an update, possibly even a photo or two when I return. Belinda, you jogged my memory about Mr. Donaldson, I had forgotten him! I never had him as my teacher but remember him ‘sorting’ out the boys in the playground when they got a bit over the top in their play fights. Usually over a marbles game! Keep in touch, everyone! Hello again everyone, I am back from my visit and am pleased to report Miss Watts is very much alive and in good health. She is as alert and as ever and far more up to date with current affairs etc than I am. Without actually saying a number she hinted at her age and we have worked it out that she must be at least 91! Wow, what a wonderful website. I was just speaking with Patricia and she told me about it. I do remember the school, although it is a year or two ago. At this time my family lived near the Seven Dials and went to St Paul’s School. Miss Stripp and Mr Donaldson and of course Miss Watts are fond memories as well as many of the pupils. I went there with my sister Sue and brother Andrew from about 1958 until I went off to Queens Park CS School at 11 years of age. A couple of strange memories I have are laying down after lunch on the little beds and later becoming a bed monitor, trying to keep the smaller children in their beds. In the winter we also used to place the small bottles of milk on the radiators to warm up the milk and I must say I think that is what put me off milk for my entire life. I do remember the twins Vanessa and Belinda and would love to catch up with you plus anyone else that remembers me from those days. Hi Zena I remember you,Sue and Andrew well. I still bump into your sister but haven’t seen Andrew for a while- I hope he is well. We all used to walk together for Cubs and Brownies at Queen’s Square (end of Western Road). I remember sitting with Sue in the playground hearing she had passed her 11 plus. I was very jealous. Do you remember a boy called Danny, I think he was in your year – he was always getting into trouble and I think he got ‘the strap’ from Miss Watts! There was a very eccentric lady in the cottage at the end of the top playground. She used to shout if a ball went over her wall. I remember the cottage being knocked down way before the school closed. I think the boys and girls were separated for playtime. Us girls used to dance to the latest hits including ‘Downtown’, ‘Twist and shout’ and ‘I wanna be your man’ by the Rolling Stones. I hated the outside toilets -we used to try and hitch up the brick walls but I could never manage it to the top of the wall. Maybe we should get a reunion together? What do you think? How this site has brought back memories! I was in St Pauls from 1956 1963. I remember Susan Majasak, Richard Springer, Helen Gale, Helen Royal who was beautiful, Mr Ian Grevitt the scoutmaster, of course the wonderful Miss Watts, FRs Favell and Chown. There were also many visiting nuns at this time. Can anyone remember the big fights with Middle Street School and the family of Irish boys that came at this time? Gordon Vickers. Your name rings a bell. I recall a little fellow with a cheeky grin, always ready for a laugh with a quick wit. I remember a particular Sports day at Withdean Stadium. Was it you, Gordon, who was given the hurdle race and ended up just about going under them instead of over them? We cheered you so loudly, much to the supposed discern of Mary Watts, (who was trying very hard not to laugh herself!) As I said, anything for a laugh! I, sadly, was a failure that day, being utterly unable to keep my egg on it’s spoon! Yes Patricia that was me I’d completly forgotten but remember it now as if it were yesterday thanks. It was a lovely summers day and the track seemed enormous the hurdles impossible. I think I was selected after a play session in the vicarage gardens where we used to go occaisionally for sport? We used to jump over a rope to see how high we could go. In your 2nd picture the boy second from right front row looks like my brother Mark, do you remember him? Sorry Gordon, I don’t remember Mark, in fact I thought that was you! I know the little fellow in front of you/ Mark sitting cross legged is Edward Castle-Herbert, known as Teddy Castle then. And you/ Mark are sitting next to Joanna Southwell, although I’m sure she was known by a different surname at that time. I am coming over for what will probably be my last visit to UK next year, from the middle of May until July and hope to be in the Brghton area around late June. It would be lovely to catch up with any of the old pupils. I am also hoping to see Mary Watts again whilst I am in her St Ives area so would be glad of company if anyone is interested. I just love these sites it’s so interesting to read all the memories and stories. Cheers, merry Christmas and a safe and happy 2011 to you all, Patricia. Hello! I attended St Paul’s School in the 1980s and my kids are there now. The school is doing a history project as part of the 200 year anniversary of the National Society which involves the children interviewing past pupils and teachers (as old as possible!). If anyone is interested in being interviewed about their memories can they please contact the school? ldupret@stpauls.brighton-hove.sch.uk. Thanks. We are making a film about the history of St. Paul’s C.E. School. Hi Dan, the family on my Dad’s side lived at No 2 Little Russell Street. My Dad, Albert Edward Yates was the eldest of eight and most of them were born there.My grandparents were Albert (Bert) and Elizabeth (Lily). Dad emigrated to New Zealand in 1950 with Mum and my brother when Dad transferred to the Royal NZ navy, but there are still lots of family in Brighton. I’ve just returned to NZ from another visit and spent time walking round the Lanes and thinking about the early years. I also went looking for the Hole In The Wall pub, where most of the family used to drink. I will be interested in hearing how you get on. Best of luck! My Dad’s family lived in Little Russell Street when he was a kid. He was born in 1917, has anyone heard of the Collins boys? I used to have a photograph of all the residents standing outside the pub, it was the only childhood photo I had of my Dad but I loaned it to someone who has since died. Does anyone have a copy of this photograph please? Well, didn’t expect to see the photos when I was idly browsing an old school of mine…! I went to St Paul’s around 1955-56 for about 18 months from memory. 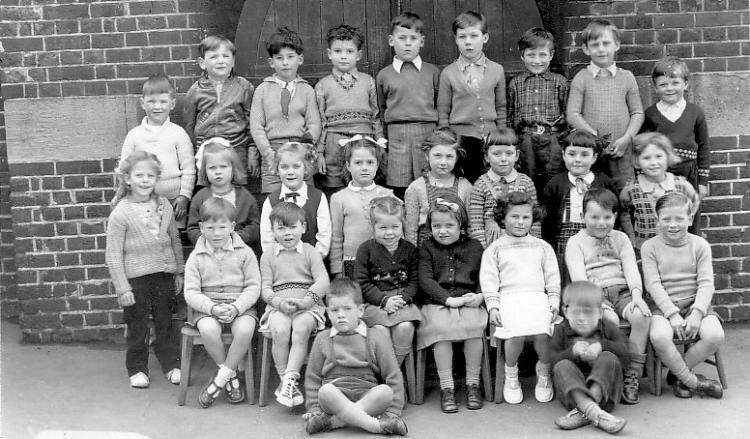 My older brother (David Davis) is seated on the front row, far left of your photo of “St Pauls – class 4”. I also have a copy of that photo. I don’t recall very much about the school…except the outside toilets and I’m sure there was an open coal fire in one of the classrooms…? I only have a couple of photos, but one is of me and others playing in a indoor sandpit…lol. I do look terribly sad in it. Presumably taken before we had to “take a lie-down” in our little camp beds after lunch. After school, I can remember going with my ‘big brother’ (who was about 6 years old) and walking up West Street and then along Western Road and playing outside Woolworths while we waited for our mother to finish work! Can you imagine that happening today? Thank you very much for posting your information regarding the school. Hi Alan Taylor and all. What a pleasant surprise to find this page. I remember you and the other children you mention in your message. Back then I was Jill Lawrenson and am in the Class 3 photograph – back row, third from the right. Hi Jill great to get a response from so long ago. When you find someone from your teenage years it seems much nearer than primary school, that time really does seem like another life, another person probably because we were still being moulded. Happy memories of St Paul’s, the kids, the teachers. Then i supposedly succeeded passed the 11 plus and went off to ‘the grammar’ well……anyway that was nearly 50 years ago. Have lived in the East Midlands for 30 year but visit Brighton frequently. Little sis Lizzie still there and a number of friends. Are you still there? Would love to here from you, do you know of anyone else? So very sad to hear of Miss Watts’ passing. She must have been have been almost 100? Had her address but never got to Oxford to see her sadly. If there are any details of the funeral Patricia can you post them? As others have said, my twin sis and I have only the happiest of memories of St Paul’s, especially Miss Watts, Mrs Fletcher and Mr Donaldson. If anyone has any class photos, please post them as I have none of my time there from 1959-1967. I’m Miss Watt’s great niece. 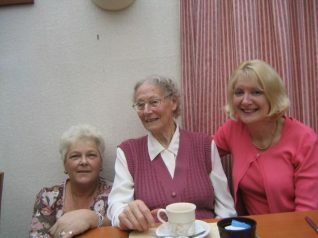 I have just returned from Auntie Mary’s funeral which was held today at Cambridge Crematorium. It was here I heard the name of the School where she was Head Mistress. She succeeded all her siblings and was 96. She was surounded by her nephews and niece, great nephews and nieces. It was a simple service. One hymn ‘The Lord’s my shepherd’, the reading Tennyson’s ‘Sunset and Evening Star, and one clear call for me’. Only family flowers which had to be bright and no lilies. She also requested donations in lieu of flowers to Save the Children. If you wish to plant something in her memory I suggest something that is bright and attractive to butterflies. She was a lovely lady if a little frightening and bright as a button right to the end. Hi Sharon, what years did you attend and what was your maiden name? I was also in Mrs Locke’s class and remember some of the Middle Street pupils joining us. That would have been the early 1970s. Hi Ruth Bolton. Dixon was my surname also had a brother there, Keith Dixon. Hi Sharon, your name is definitely familiar. Think you might have been a year or two below me? I was born in ’62. In about 2012, Patricia Silsby and I spent a wonderful day walking around old familiar places around Brighton. I always had a ‘soft spot’ for her, but as she was younger – I kept to myself. We, of course went into St. Pauls Church. There was an event going on there. We mentioned we used to both go to the school and church(Fr Chown/Flavell). The chap we spoke to knew my name and said ‘ didn’t you have a brother called Jamie‘? Patsy and I then walked along the seafront and up through St. Nicholas Churchyard – where we used to play as kids. I will post the school photo I have on site, when I can find it. People’s names I can remember from it are: Georgie Westgate, Colin Pressland, Alison Taylor, Wendy Neal, Wendy Mean(Neale), Linda Davis, Keith & Janet Saunders(lovely girl), Ian Horsecroft, Terry Tidman, Peter Davis, Rodney Muller, Moira Hunter. Also in the photos: Sandra ? (skater like Linda), Jacqueline (?) cousin to Loretta(? ), Stewart(? ), + two faces I don’t recoqnise. Apologies for any misspelt names. I attended St. Pauls from 3years -11. Teachers I remember. Obviously the lovely Miss Watts, Miss Jones, Miss Strip, Mrs. Shough, and a Mr. Finch – who I remember seemed to like thumping Edward Castle on the back ( I can remember shouting at Finch to stop it. Many more memories to come another time + photo. I had found Patricia Silsby before, but lovely to see so many familiar names. I was Sue Matyszak.I notice Miss Watts lived to a good age, always glad to hear. I managed to go to her retirement do. I have reached the stage where you remember some bits but not all so apologies for any errors or omissions.I remember Mrs Hollett and Miss Charlton. I think one a dinner lady and the other school Secretary? I used to see them in the London Road area. Miss Charlton lost her sight.I remember the Dowsetts, John, Jamie and Sister Julie. I remember the twins Vanessa and Belinda Lumsden and their Brother Brian. I used to see the girls from time to time during hospital visits. My Brother Andrew/ Andy has health issues but is ok.The school was very small, even with a nursery class which took children from 3 or 4 if I recall correctly, there were about 108 (not sure where that number came from) children. The first and second years and third and fourth years of the juniors were in the same class. The year I took my 11 plus, 8 or 10 of us and two of us passed. The other being Judith Tilley who went to Westlain and became a vet.There was also Keith Templeman, I was reminded of him as I found his Brother on Friends Reunited.The eccentric lady in the house next door was French and I am not sure of her name but we called her Mrs Battle.I went to see Father Favell at his new church, so many years ago now. It was opposite St Ann’s Well Park.Mrs Shough has been mentioned, I think her son, Martin attended the school.Mr Donaldson taught the 3rd and 4th year juniors and around the same time his wife, I think her initials were I. V. took the first and second year.We had inkwells and I managed to flick one over me. I was told to take a bottle of milk and use to get the ink out. I wore my pe shorts for the rest of the day. Problem was I wasn’t told to rinse out the milk so after a few hours on a radiator, my ink free dress smelt of stale milk.One year we took part in a combined Nativity with other Brighton schools. I was a king and my brother a page with a fan. Not sure how or why the rumour, but Miss Watts checked with me as it was thought the leopard skin outfit my Brother was to wear had been taken home and someone had been ill and they were spoiled. I was able to go and get them and reassure there was nothing wrong with them.I must come back when I have more time as my brain is all over the place with memories. I’m so pleased I went back into this site after such a long time and saw that lovely comment from you John. I loved spending that day with you catching up on old memories and admit I was envious that you remembered so much more…. names and places etc… than I can. I’m sorry to have lost touch, I did send Christmas cards to the address you gave me on that day, also a couple of emails but I think the email I had was an old work one of yours so I never received any replies. I would love to keep in contact so am broadcasting my email address here. Its psilsby@optusnet.com.au so please, if anyone sees this and knows John Dowsett, could you pass it on? I also give permission for the editors of this page/site to pass it on to John as I can’t think of any other way to get in touch. I am also happy to hear from anyone else who remembers the good old days, hahaha. I just noticed that an old P O Box number address is listed on this page at the beginning. It is no longer in use so please disregard it. Wow amazing comments and pictures. I have really happy memories of St Paul’s school. I went there when I was 3 and stayed until I was 11 and went off to Queens Park. My sister Sue and brother Andy (Matyszak) went there too. I remember relaxing in the little beds and in my last year I was even a bed monitor looking after the little ones and making sure they stayed in their bed to sleep, I think. In the playground was fun: we managed to get some what we called ‘hot ice’ from the meat market across the road. We put it down the drain and it bubbled up like a witches brew. Milk on the radiator – yuk that put me off milk for my whole life! Someone suggested getting a reunion together I would love that.